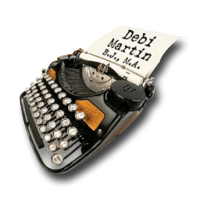 Debi Martin, B.J. , M.A. If developmental writing courses exist to – at the minimum– prepare students for English Comp I — how are developmental writing educators responding to this re-imagining of what constitutes “writing” and “literacy” in the digital era? This paper considers the state of that conversation – or lack thereof – and suggests reasons for and ways to integrate multimedia composition into the appropriate level developmental writing course. In light of the enormous level of scholarly activity on the topic in English-related journals, particularly online editions such as The WAC Clearinghouse (http://wac.colostate.edu/journals/) and http://www.merlot.org/merlot/index.htmto name just two portals to dizzying arrays of such creative enterprises — it seems reasonable to ask about some sort of parallel activity on merging developmental writing and Web 2.0 literacies. After all, the kinds of papers students in developmental writing courses write are based on the kinds of papers they will be expected to write in English Comp I – personal narrative, compare and contrast, argumentative, persuasive, research, etc. The readings in developmental writing courses provide an orientation to the level of complexity required to astutely analyze non-fiction articles on social issues, again, all in preparation for English Comp I. At many community colleges, including Austin Community College, where I taught developmental writing classes for over five years and currently work as a writing/English tutor, to exit the developmental writing sequences of courses and become eligible to enroll in English Comp I, students often must pass not one but sometimes two compulsory competency tests to demonstrate they can write a persuasive essay with a cogent and supported thesis, relatively free of grammatical errors. For developmental writers, it’s all about jumping hurdles to get into English Comp I. But imagine a student spending two semesters (not uncommon), working her way up from fundamentals-level courses, passing the exit-level developmental writing course and not learning about “multimedia composing” until she is required to produce such a work for her English Comp I professor. All of which made it all the more puzzling to discover that the conversation over including Web 2.0 in the developmental writing classroom is relatively sparse and spotty compared to the near-frenzy of scholarship on the topic as it relates to teaching English Comp I and redefinitions of literacy and writing in the digital age. Considering the link between literacy and learning to write and think critically, the lack of scholarship on how toand at what leveldevelopmental writers should – at the very least– be introduced to the concept of multimodal composing seems amiss. There is relatively little discourse over, for example, whether it would be inappropriateto incorporate digital literacies with, for example, fundamentals-level developmental writers, because they might already be cognitively overwhelmed and challenged by their struggles with basic grammar and sentence structure. Innovative scholars in the field of rhetoric and composition, including Anne Frances Wysocki, Cynthia L. Selfe, and Geoffrey Sirc, have contributed enormously to resources for expanding the teaching of composition using writing new media texts by publishing several books created for teachers, complete with lesson plans, step-by-step instructions, grading rubrics, tips on trouble-shooting technical and production issues, with appropriate theoretical underpinnings and rationale. Though most of the activities included in such texts are labeled as appropriate for undergraduates and graduate students, not developmental-level writers, some assignments seem exceptionally suitable for modification, including the Techno-Literacy essay (my version of such an assignment is included along with this one in the .zip file). One way to ascertain whether integrating digital writing is being incorporated into developmental writing courses is to look at whether the topic is included in recently used syllabi or common course handbooks and/or readers, which I discuss in a separate essay (included along with this one, in this .zip file). Making sense of the extent of this conversation in the literature requires synthesizing discourse and policy statements within various scholarly communities and sub-fields of either English studies or Communication theory, much of which is beyond the scope of this paper but will help inform the direction of my master’s thesis in rhetoric and composition. Such fields include rhetoric and composition, computers and composition, education technology, digital rhetoric, “basic writing,” developmental educational psychology, and information literacy, in which digital writing are sometimes used and interpreted and defined differently by different scholars: “digital writing” commentary and studies can be found under “multimodal composing” and “new media writing,” to name just two terms. Also problematic: terms used to describe “developmental” or “basic” or remedial” writing are sometimes used interchangeably. However, what is absolutely clear is that we are living and teaching writing in what futurist visionary Jay David Bolter calls the “late age of print,” a transitional period when: “digital writing seems both old and new. Although we began in the 1980s by using word processors and typed documents, it has not become clear that we can use the computer to provide a writing surface with conventions different from those of print. A World Wide Web page already differs in some important ways from a conventional printed page” (7). … the use of computers in composition is a given, technology is part of the academic zeitgeist. While in the 1980s and 1990s, much was made of “the digital divide,” documenting the economic and educational injustice of access to computers, those arguments are largely erased, or forgotten, in a culture where computers are everywhere. With the advent of Web 2.0 and social media, however, a new digital divide is emerging. Without significant work in digital literacies … basic writers face double jeopardy. They will have the traditional markers and challenges of basic writers coupled with an inability to critically engage and produce in the digital medium. Just as literacy has always been linked to social, cultural, and economic power, so too does this new digital literacy mean access to our newest forms of cultural power. The digital divide is no longer about access to technology, but rather a more complex divide of those who have had the educational access, training, and critical engagement to use technology well as literate cyber-citizens. Perhaps apropos of the new media ethos of DIY change from the bottom-up, literature on this topic that does exist is found more in the realm of teacher-to-teacher online forums, web-texts, class room websites, tips and lesson plans that have been “classroom-tested,” and the like rather than in traditional research journals. More resources are available if we redefine scholarship and research to include these kinds of studies. Other articles relevant to the topic were published in traditional journals under columns such as “Techtalk” in theJournal of Developmental Education. These essays, narratives, or columns are written conversationally, as if empathetically addressing fellow instructors who are grappling with how to help developmental writers become fluent and effective interpreters and users of digital media. Many read like travelogues, complete with road maps– in the form of classroom-tested lesson plans – to inspire and inform fellow travelers as well as encourage teachers who came of age in another era to become more confident using new media technology in their classrooms. The reports can be viewed as a valid form of research-practitioner reflection, which composition specialist Kathleen Blake Yancey’s advocates as part of the cyclical nature of reflective practice… as a “means of extending and differentiating earlier practice, and then of theorizing anew. … Much like the writing assessment movement, work in reflection has been motivated, then, as much by interest in changing teacher practice as by interest in assessing student work, with faculty recognizing and generating their own contextually sensitive theories of practice”(8). One of those “sensitivities” may very well be whether including digital literacies might help improve student retention rates in developmental writing courses by making such often-required classes more engaging for students. For example, Ben McCorkle’s reflective course redesign of a developmental writing course at Ohio State University’s Marion campus is exemplary because it required balancing “multiple factors – accommodating students’ skills-based needs, instilling in them an interest in college-level work, and helping them feel like an empowered, integral part of the university community” (108-109). The redesign also was conceived as part of the rhetoric and composition faculty’s own expansion of the concept of writing, including the awareness of the rhetorical merits of purposeful multimodal composing in literary analysis, personal narratives, and traditional forms of creative writing such as poetry and short fiction. McCorkle chose to include blogging in his redesign because of “the genre’s “inherent plasticity. … Moreover, a central rhetorical lesson I try to impart to basic writing students is an awareness of audience and how to write for a variety of them by developing a distinctive voice in their writing, a feature endemic to blogging” (110). Blogs would seem to be a logical space in which to situate lessons related to awareness of creating a voice appropriate for a particular audience – two key outcome goals of developmental writing courses. In a “Techtalk” column, the authors discuss how blogging improved reading, thinking, andwriting skills by serving as a bridge to help developmental students enter the academic conversation and feel part of the community. “Blogs allow for ease of idea sharing and construction, provide meters that monitor a posting’s readership, and offer the potential to link beyond the blog to confirmatory sources of information and even other comments to blogs through blogrolls” (Caverly et al. 34). Moreover, in a literature review in the article, which included a review of their own previous research which had been conducted by associates or collaborators, the authors cited examples in which using blogs helped develop “the processes of critical thinking” and “academic literacy… providing a forum for engaging and scaffolding these students in critical examination of current ideas through reading, thinking, and writing.” Students would learn to formulate evidence-supported positions on contemporary issues. In another “Techtalk” installment, the authors discuss the advantages of using digital storytelling with developmental education students as part of a multidimensional approach to learning “since skills in critical reading, critical thinking, oral communication, written communication, and technology are all practices intensely” (Gregory, Steelman, and Caverly 42). Digital storytelling was defined in the article as a “3 -5 minute movie centered on the recorded writing of students, enhanced by music they select or perform, and illustrated with images or video chosen to represent the content of the story” and “using free software available at most developmental computer labs” such as iMovie, PhotoStory (Gregory et al. 42). The authors noted that conventions in digital storytelling correspond to those required to effectively tell stories in any medium, including point of view, organization, story structure, word choice, language use, narrative, character, and so on. Multimodal composition helped students “understand the changes required by the new genres as well as the expanded informational literacy skills needed” (Gregory et al. 42). It also didn’t hurt that the persona of “movie producer” is more attractive than “the role of developmental composition student. Students who groan at the prospect of writing one more paragraph or one more essay get excited about writing their own movie script. Finally, multiple layers of literacy are accommodated by digital storytelling, including digital literacy, multicultural literacy, technology literacy, visual literacy, and information literacy” (Gregory et al. 42). Visual literacy, alone, is a subject worthy of a separate paper. But it’s worth noting, here, that it is a topic that seems particularly suited to discussions over incorporating digital literacies in the developmental writing classroom. On a superficial level it seems relevant because it references and builds on competencies students have developed to respond to the bombardment of images to which they are exposed everyday – now ever more complex and invasive given the proliferation of mobile “screens.” But there is more to it. In an article using PowerPoint to teach students to reverse outline their essays, a community college instructor explained that such visualizations force students “to examine their written line of thinking, ultimately improving their essays” (Gregoire 2). Another older (in digital age time), user-friendly technology mentioned in the literature is the ePortfolio. Like blogs, ePortfolios build on basic writers’ previous knowledge of, for example, the writing portfolio often used in secondary-level English classes, as they begin to merge “Web 2.0 digital literacies and multimodal composing strategies at this critical juncture of digital and traditional writing” and helps “students implement critical digital literacy skills as they learn how to write for real audiences and find an authentic voice” (Klager and Clark 23). Overall, the argument for using Web 2.0 technologies with developmental writing students seems well-worth expanding and exploring further, which most of the authors of the articles considered, here, did point out. Web 2.0 seems ideally suited for developmental writers if for no other reason than the fact that it emphasizes project-based learning experiences, an arena in which students must periodically access what is or isn’t working, thereby enhancing their ability to not only problem-solve but to become aware of their thinking, and the quality of their thinking, and whether that process is improving the outcome of what is being created; hence, the metacognitive element as well as the ability to stand back and look objectively at their work, i.e., to judge whether it is becoming more reader-centered than writer-centered. I truly believe there is an appropriate place in developmental writing for digital literacies, and I’d like to explore that further when I write my thesis. For now, I’ve come up with a few recommendations based on this initial and too brief review of the literature and my much more broad experience teaching and tutoring students enrolled in developmental writing courses. An appropriate level for introducing developmental writing students to digital writing technology is in an exit-level course, the “gateway” course to FYC. I’d propose a class titled: Writing Skills III: Digital and New Media Emphasis. Such a course would give students an opportunity to discover how to apply their creative talents and digital literacies to composing academically appropriate web-texts. 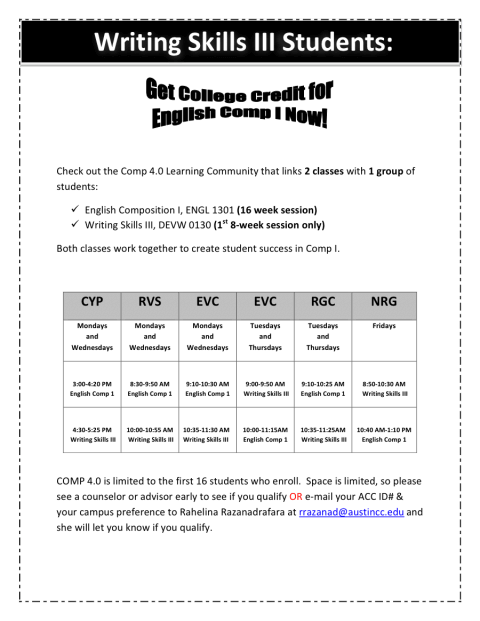 I imagine it to be a variation on the “special”learning community courses currently offered at Austin Community College (“Developmental Writing”) and which in the developmental writing literature might be considered a combination of the Stretch Model and Studio Model, alternative course formats that are credit-bearing and focus on intensive writing practice (Lalicker 17-20). Also, such courses have been implemented as a way to more efficiently retain and mainstream developmental students through engaging, alternative learning communities. I imagine multimedia assignments created for FYC could be adjusted to meet the needs of exit-level developmental writing students. For example, the last essay in such courses is an introduction to researching and writing the research paper, which includes how to paraphrase, summarize, cite sources, and vet source material for validity. Because so many of the sources students are likely to use these days are online, it would make sense to teach the research paper along with modules on digital literacy and composition and hands-on instruction in production. Another likely place in the course for introducing multimodal composing would be the literacy autobiography, commonly assigned in the first week of a developmental writing class. It can be reframed as a techno-literacy narrative to include the use of basic new media technologies such as inserting images, embedding hyperlinks, uploading and downloading, blogging basics, etc., (a topic I consider in my Your Choice Essay, also included in this .zip file). Barrios, Barclay. “The Year of the Blog: Weblogs in the Writing Classroom.” Computers and Composition Online. (2003): http://wwwbgsu.edu/cconline, 12 March 2012. Computers and Composition Online. (2009): www.bgus.edu/cconline, 12 March 2012. Bolter, Jay David. Writing Space: Computers, Hypertext, and the Remediation of Print. New Jersey: Lawrence Erlbaum Associates, 2001. Print. Caverly, David C., Sheila A. Nicholson, Jennifer Battle, and Cori E. Atkins. “Techtalk: Web 2.0, Blogs, and Developmental Education.” Journal of Developmental Education, 32.1 (2008): 34-35. JSTOR. PDF file. 8 June 2012. “Conference on College Composition and Communication Position Statement on Teaching, Learning, and Assessing Writing in Digital Environments.” Ncte.org. 12 March 2012. 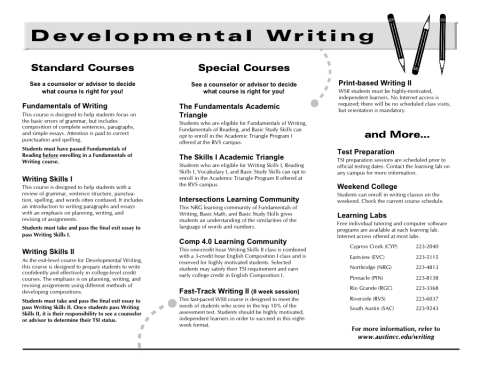 “Developmental Writing: Special Courses.” Austincc.edu. 7 Jan. 2013. Epstein, Paul. “Teachers Must Be Confident with Technology to Effectively Employ It in Their Lessons.” (2010); nwp.org, 12 March 2012. Gregoire, Stafford. “Powerpoint Reflection and Re-Visioning in Teaching Composition.” Conference on Basic Writing.8.9 (2010) www.orgs.tamu-commerce.edu PDF file. 8 June 2012. Gregory, Kay, Joyce Steelman, and David C. Caverly. “Techtalk: Digital Storytelling and Developmental Education.” Journal of Developmental Education, 33 .1 (2009): 42-43. JSTORPDF 8 June 2012. Karper, Erin. “Web 2.0 and Literate Practices.” Computers and Composition Online. (2009): www.bgus.edu/cconline, 12 March 2012. Kapper, Michael Carlson. “Mixing Media: Textual, Oral and Visual Literacies (and then some) in Teaching Powerpoint” Computers and Composition Online. (2003): www.bgsu.edu/cconline, 12 March 2012. Klages, Maria.A and J. Elizabeth Clark. “New Worlds of Errors and Expectations: Basic Writers and Digital Assumptions.” Journal of Basic Writing 28.1 (2009): 32-49. JSTOR, PDF file. 20 June 2012. Lalicker, William B. “A Basic Introduction to Basic Writing Program Structures: A Baseline and Five Alternatives.” Teaching Developmental Writing: Background Readings. New York: Bedford/St. Martin’s, 2007. Print. McCorkle, Ben. “English 109.21: Intensive Reading and Writing II, ‘Reading, Writing, Blogging.”‘ Composition Studies, 38. 1 (2010): 108-127. JSTOR, PDF file. 12 June 2012. Remley, Dirk. “SecondLife Literacies: Critiquing Writing Technologies of SecondLife.” Computers and Composition Online. (2010): www.bgsu.edu/cconline, 12 March 2012. “Research and Scholarship in the Two-Year College.” National Council of Teachers of English. (2011)JSTORPDF file, 20 Sept. 2012. Richards, Daniel. “Digitizing Dewey: Blogging an Ethic of Community.” Computers and Composition Online. (2011): www.bgsu.edu/cconline, 12 March 2012. Selfe, Cynthia L. Multimodal Composing: Resources for Teachers. New Jersey: Hampton Press, 2007. Print. Tinberg, Howard. “Call for Program Proposals: The Public Work of Composition.” www.ncte.org(2012) PDF file, 20 Sept. 2012. “Writing Now: A Policy Research Brief produced by the National Council of Teachers of English.” National Council of Teachers of English(2008) JSTOR, PDF file, 20 Sept. 2012. New Media: Theory and Applications for Expanding the Teaching of Composition. Logan, Utah: Utah State University Press, 2004. Print. Yancey, Kathleen Blake. Reflection in the Writing Classroom. Utah: Utah State University Press, 1998. Print. Zhao, Ruijie. “”Teaching Invention Through YouTube.” Computers and Composition Online. (2011): www.bgsu.edu/ccoline, 12 March 2012. Gallagher, J. (2010). ‘”As Y’all Know”: Blog as Bridge.” Teaching English in the Two-Year College, 37 (3), 286-294. Nicholson, S.A., Caverly, D.C., & Battle, J. (2007, November). Using blogs to foster critical thinking for underprepared college readers. Paper presented at the annual meeting of the College Reading and Learning Association, Portland, Oregon. Penrod, D. (2005). Composition in Convergence: The Impact of New Media on Writing Assessment. New Jersey: Lawrence Erlbaum Associates, Publishers. Simpson, M.L., Stahl, N.A., & Francis, M.A. (2012) “Reading and Learning Strategies: Recommendations for the Twenty-First Century.” Teaching Study Strategies in Developmental Education: Readings on Theory, Research, and Best Practice, (pp. 12-36). Boston, MA: Bedford/St. Martin’s. Snyder, L.G. & Snyder, M.J. (2008). “Teaching Critical Thinking and Problem Solving Skills,” The Delta Pi Epsilon Journal, 1 (2). To move forward, we often first must look back. Like many of the developmental students that I have worked with as a writing instructor and tutor at a community college, I must start “where” I am, connecting new knowledge with old. If we learn to construct knowledge and to write within social and cultural contexts then I suppose we learn to grade – evaluate, assess, whatever it can be called – that way as well. My first job teaching writing: I was hired in the fall of 1992 to teach developmental writing at a community college in East Austin to students deemed “underprepared” and ineligible to enroll in first year composition (FYC) based on their low scores on standardized tests. At all-day grading sessions held the first and last week of classes, adjunct instructors, such as myself, along with the few full-time faculty members, assessed student essays using a criteria-referenced holistic scale crafted by our department head, Thomas D. Cameron, an affable, politically and otherwise progressive man who’d earned his doctorate in English at the University of Texas at Austin. Despite its diagnostic language, the scale was written in an entertaining and engaging tone that evoked the guiding voice of a teacher who’d reflected upon how he’d assessed hundreds of student essays over the years. As Cameron wrote in a special issue devoted to assessment and published in 1993 in Teaching English in the Two-Year College, “The primary value of the scale is that it describes the kinds of writing that people really produce. … the actual papers students were turning in” (320). For example, the scale quantifies why a formulaic five-paragraph essay can sometimes hardly merits a passing grade: “This brief essay addresses the reader’s needs by providing an outline or summary development of the topic. Though it always contains a thesis and thus a defined purpose, it is usually a safely written, highly generalized essay… It may be relatively free of error, in keeping with its refined nature” (316-317). We began grading sessions collaboratively judging “anchor papers,” chosen for how well they typified what a “5” or a “6” paper might read and/or looked like, an exercise with the intended effect of calibrating our assessment skills as a group. Considering the subjectivity involved in assessing any piece of writing, the system seemed fair: each paper was graded twice, we weren’t allowed to grade our own students’ papers; if two graders did not agree – the essay was sent to a third, senior grader, to mediate. Although the criteria were specific, we often passionately differed on individual interpretations, a process Cameron identified as “a professional conversation… if real consensus is to be reached, real discussions must be fostered, as self-assured, dogmatic readers can easily overwhelm inexperienced and insecure readers – the result being a divided department in which some members have no investment in the evaluation instrument.” (318) Those grading sessions socialized me to the collaborative and normative process by which college writing is assessed and taught. The scale grounded those conversations, and gave this then-newbie teacher a tool, a technology to make sense of my “gut” reactions when assessing student writing. Because higher scores were given to essays that were more reader- than writer-centered, the scale helped me articulate what I value about effective college-level writing: awareness of an audience outside the writer’s usual discourse community. I used the scale in the classroom as a teaching tool; sharing it with students seemed to help them develop their “inner editor” by giving them a tangible template to which to refer before turning in revisions. The scale also contextualized my commentary in the margins of their papers; all in all, it was a pedagogically efficacious throughout the five years I taught the course. I came away from that experience, agreeing with Cameron that, “At all levels of a program that purports to teach writing, students deserve a useful and consistent system of evaluation and grading” (314). But that was “B.C.” Before chaos, before so much of what I thought I knew about writing and the teaching of writing changed. I can remember staring into space the first time a student asked me about the MLA style for citing an “online” source.” I earned my M.A. in American Studies (American Literature and History) from UT Austin in 1999. To update my teaching philosophy and tool kit for the digital era, I enrolled in the spring of 2011 in a graduate program in rhetoric and composition. Before I return to the classroom, I want to know: Is there anything akin to the “anchor paper” and Cameron’s scale I used when I started out to inform and guide my assessment of digital writing compositions? If the rhetorical roots of composition instruction involve teaching students how to use all available means of communicating effectively, what does that mean today? A “text” composed in Plato’s time was a speech “distributed” orally before an audience. After Gutenberg and the invention of the printing press, print dominated in even the “late age of print” in the beginning decade of the 21st century. Does it follow that teaching composition can now mean composing with video cameras, PowerPoint, blogs, cell phones? These changes have unset the way we write. The way we communicate. It follows that they should drastically change the way we grade. I found no simple answers to my questions. I did uncover assumptions that go to the heart of what is valued in writing in our culture in the 21st century, an informative trail to follow for a teacher-practitioner who’s recently returned to graduate study. Reviewing the literature has been challenging as it requires synthesizing discourse between, across, and within disciplines such as education and technology, rhetoric and composition, developmental writing, and computers and writing, fields undergoing disruptive paradigm shifts brought on by integrating digital media into the classroom, all of which suggested topics that will be explored in future seminar papers in other courses. Throughout, I found contention over what constitutes “college-level writing,” regardless of digital content, what should be taught in first year composition (FYC), and whether such courses should even be housed in English departments. Though the literature most closely associated with rhetoric and composition addressed the profoundly timely arguments for incorporating digital writing into FYC course work (Selfe), I found relatively less information applicable to assessing such compositions in the everyday practice of teaching FYC (Tremmel). Numerous scholars do agree that the times in which we are teach writing are historically unique. Diane Penrod, a professor of composition and rhetoric at Rowan University in New Jersey, writes in Composition in Convergence: The Impact of New Media Writing on Assessment,“The condition facing writing teachers is one in which computer technology sufficiently alters both a writer’s knowledge base and the definition of what is a text to such a degree that fundamental writing assessment methods and terminology no longer apply” (19). Moreover, this paper topic was even more challenging because rubrics — assessment, evaluation – is a contentious and contested area of discourse. Rubrics seem situated at the contentious crossroads between two major currents in composition studies: positivism and postmodernism. While rubrics are regarded as too proscriptive, formulaic, and otherwise tone-deaf to the nuances required to produce and critique meaning making – regardless of digital content — in a postmodern era. Positivist faith in measurement, testing, scores, objectivity, is at odds with postmodernist skepticism. Eminent scholar Peter Elbow provides perspective: “Rubrics have come in for some fair criticism when they are crude prepackaged lists of conventional features that are used on large scale tests – forcing battalions of readers to try to fit their human responses into corporate pigeon holes. … (but) we can figure out the difference between evaluative practices that are more fair and less fair.” (n.p.) Another voice in favor of moderation, David Martins, defends rubrics, writing that they can be a positive force when they are part of an overall teaching strategy andwithin the context of an ongoing dialogue in a student-teacher relationship, “… in the student-teacher relationship that such processes engender – some of the most important learning happens.” (127). Studies that find a “positive correlation” between sharing rubrics, particularly those composed of analytic, criteria-referenced scales (such as those I used in the 1990s), and to be particularly effective when used in the teaching of argumentative writing to first year college students, and are more effective than the common practice of having students read models of exemplary writing (Soles 127); all of which suggests that it would be extreme to entirely disregard rubrics. Still other writers argue that the downside of using rubrics can be diminished by encouraging individual teachers to customize their assessment guides to match what they value in a particular assignment, a practice already common among instructors in a day-to-day manner, and not really an answer to the problem of how to offer constructive commentary that is not only valid and fair but consistent, generalizable enough to “transfer” across disciplines, creating not just better writing but better writers and thinkers, and producers of digital writing texts. Is it possible to find common ground in terms of what “works” in such compositions? In an essay supportive of a nuanced approach, the authors wrote “… embracing subjectivity does not deny the power of consensus or its vital role. For example, disagreements about art will always exist, but the Mona Lisa’s beauty is generally acknowledged” (Strouthopoulos and Peterson 51). The nature of scholastic inquiry, to investigate, interrogate, to question often seems at odds with the needs of a writing teacher, who needs something tangible – a tool, a technique – that works more often than not, holds up in day-to-day practice under deadlines and other demands. When I return to a classroom, I believe it is essential to use and share with students specific criteria by which their work will be judged, especially if I do not want to explain after-the-fact why a silly cat videos posted on youtube.com doesn’t count toward their grade as an essay; a scenario, I am convinced, is not unlikely. What might that assessment tool look like? What are its components? My research led me to the promising and insightful work of reflective scholar practitioners who ground their assessment strategies in how well students understand, interpret, and process the application of Lloyd Bitzer’s seminal concept of “the rhetorical situation” to any text, regardless of format or medium. For example, in Toward Making Composition Whole, Jody Shipka, an Associate Professor of English at the University of Maryland, addresses the problem of how to grade open-ended, activity-based multimodal compositions. Her solution: flexible, customizable heuristics that can be used to evaluate compositions in a variety of formats. A particularly compelling contribution is the Statement of Goals and Choices (SOGC) that requires students to turn in with their final projects a written document that outlines how well they succeeded at meeting their own goals and why they made specific choices – which could include explication on selection of medium, such as why a blog rather than a website. As a teaching strategy, the SOGC supports and creates a space for students to reflect upon, “own,” and regulate their own learning process. As an assessment tool, it gives the instructor substantial insight into the process by which these projects are defined, providing the opportunity to offer instructive comments for revisions. Moreover, it allows the teacher to include in her judgment of the work, how well the student met his or her own objectives. All in all, the literature suggests that the best rubrics for assessing digital writing are based not only on rhetorical analysis, which seems particularly suitable to multimodal formats, they must be well-matched to – perhaps constructed synergistically with — a particular assignment. As such, they can be tweaked from time to time, depending on how well they “play” in actual classroom situations. In the end, I was a bit troubled that there wasn’t more scholarship on assessment or rubrics or whatever they might be called, and came away with the impression that writing instruction is devalued, perhaps not considered a legitimate area of academic inquiry; an unfortunate conclusion considering FYC’s role in instigating critical thinking skills prerequisite to astute social critiques of American culture, at a time in our history in which information-overload abounds in unprecedented degrees. Bitzer, Lloyd. “The Rhetorical Situation.” Contemporary Rhetorical Theory: A Reader.New York: The Guilford Press, 1999. Cameron, Thomas D. “A Responsible Evaluation Instrument and Its Impact on a Developmental Writing Program.” Teaching English in the Two-Year College. (TETYC)December (1993): 313-323. Elbow, Peter. “Good Enough Evaluation.” (2010). Emeritus Faculty Author Gallery. Paper 37. http://scholarworks.umass.edu/emeritus_sw/37(2010). Web. 11 Nov. 2012. Martins, David. “Scoring Rubrics and the Material Conditions of Our Relations with Students.” TETYC36.2 (2008): 123-137. Penrod, Diane. Composition in Convergence: The Impact of New Media on Writing Assessment. Mahwah, NJ: Lawrence Erlbaum Associates, Inc. 2005. Selfe, Cynthia L. Multimodal Composition: Resources for Teachers. Cresskill, NJ: Hampton Press, Inc. (2007). Shipka, Jody. Toward A Composition Made Whole.Pittsburgh: U of Pittsburgh Press, 2011. Soles, Derek. “Grading as a Teaching Strategy.” TETYC 29.2 (2001): 122-133. Strouthopoulos, Chris and Janet L. Peterson. “From Rigidity to Freedom: An English Department’s Journey in Rethinking How We Teach and Assess Writing.” TETYC (2011): 43-62. Tremmel, Michelle. “What to Make of the Five-Paragraph Theme: History of the Genre and Implications.” TETYC (2011): 29-42. To paraphrase American pop culture poet Bob Dylan, when it comes to the enormously popular website YouTube, somethingishappening but academics don’t exactly know what it is. YouTube obviously is more than just another entertaining medium. But exactly what is it? And why would a teacher of English composition care? Though it has only been around since 2005, when it began its meteoric rise from its PayPal roots in Silicon Valley, YouTube is indicative of the zeitgeist of an era characterized by ubiquitous but often-times banal digital media. In the last few years scholars have begun grappling with YouTube’s astounding cultural, political and socioeconomic implications. One of the most compelling and comprehensive works on the topic has to be YouTube: Online and Participatory Culture (2009), by research academics Jean Burgess and Joshua Green. It will give the English teacher curious about YouTube’s pedagogical potential, an overview, and much much more. The book, which grew out of research on user-created content, digital storytelling, online social networks, and “convergence culture” undertaken by the authors at MIT’s Convergence Culture Consortium, was published in 2009 but is still topical. Only 172 pages long, the densely-packed but small book has a lot to say about YouTube band the “big picture,” including whether it’s putting major media out of business or is the be-all answer to participatory democracy. Its complex and nuanced discussion on how and if YouTube matters is of particular relevance to English instructors interested in rethinking old and sacred paradigms to reach, teach, and relate to 21stcentury students who grew up as “digital natives,” or “outsiders” to the linear narratives we are more accustomed to delving into. Meanwhile in the few moments it takes to read this review – or more likely, scan it, as is customary, these days — more than 35 hours of video will have been uploaded to the popular site. In a week, the equivalent of 150,000+ full-length movies will have been played on it. In two months, more video will have been uploaded than the three major US networks created in 60 years, according to information published under the website’s “about” tab. How do academics study and measure the value of something that changes, morphs so quickly? Something that has everything from amateur hour kitsch to educational videos worthy of PBS, from clips from old movies to speeches by presidential candidates, everything including the cat playing a piano in the kitchen sink? All of which could aptly apply to television during its forming years. But the audience could not instantly interact with, alter, produce or re-purpose content. And for most of the academy’s existence it has studied “static” documents, print-based texts, literary works that do not have as a primary characteristic the ability to morph and change at an exponential pace, while under study. Burgess and Green approached the task as most researchers do – they staked out their territory, defined their terms and the picked the appropriate method(s). They selected a representative sample, identified patterns, analyzed content, and developed a coding system to classify videos according to “textual and extra-textual features, coding for origin, upload, genre, etand themes,” appropriating many of YouTube’s own “categories” such as “Most Favorited,” “Most Responded,” and Most Discussed.” The researchers combined an ethnographic study of YouTube users with a qualitative content analysis of 4,320 videos broadcast in three selected months of 2007. The study reveals two YouTubes: the user-created variety and “traditional media content.” Overall, there were slightly more user-created content than traditional media, and to their astonishment, the researchers found relatively few “cat videos.” That’s bad news for Big Media as we’ve known it, more preoccupied with policing copyright violations than learning how to harness what it is that drives millions to spend hours engaged on YouTube every day. But the data suggest something English teachers already suspect: The proliferation of user-created content indicates that a lot of young people are spending a lot of time and energy creating, crafting, mashing and mixing and recreating and re-crafting and remixing and mashing-up media. The implications of all this activity is, for the English composition teacher, heartening. A common water-cooler lament among community college instructors these days is the disconnect they notice among students “turned off” to writing academic papers yet passionately engaged with creating YouTube videos, some of which arguably exemplify the highest levels of Bloom’s taxonomy, the tip-top being “creating,” not just regurgitating writing formulas on state mandated skills assessment tests. Reading “between the lines,” the authors suggest that anyone teaching 21stcentury students how to think critically and write clearly should consider the “literacies” acquired to create and craft these videos. Yes, something ishappening… if we, teachers, can only understand how to tap into it, harness it. One way to begin is to rethink through the notions that underpin the age-old, academically entrenched “read-write” dictum. In Chapter 3, the authors expand upon the idea that definitions of literacy should be revisited in light of the post-print era. The authors build upon the work of John Hartley, an international figure on the forefront of research on the uses of digital media, and founder of the Creative Industries Faculty at Queensland University of Technology, where he is a Distinguished Professor and Research Director of the ARC Centre of Excellence in Creative Industries. Hartley contends that when YouTube users clip or snip or quote from media they are not just ripping off Big Media. They are asserting their right to no longer be – like, perhaps their parents were – sitting on the couch in front of the “tube,” taking in messages, suppliant, “comfortably numb” consumers. They are off-the-couch, proactive participants creating their own meanings. Yes, they use extant materials, some of which could derisively be termed derivative, unoriginal, even banal. But the authors argue that the practice is not one that involves just copying and just pasting. It’s not even just editing. Hence, Hartley coined a new word for it: redaction — the production of new material through a process of editing existing material. Of particular interest in that regard is the specially commissioned piece “Users of YouTube: Digital Literacy,” published at the end of book and by the aforementioned Hartley. In that chapter, Hartley suggests that our students, the ones that appear to be “underprepared,” “turned off” or “at risk,” have actually subverted and redirected their curiosity and creative energies to leisure activities – to the creation of YouTube videos. Hartley posits that it’s possible that such students are in fact daydreamers involved in mischief-making, skills more formally recognized as known as “identity-formation,” and “imaginative and experimental engagement.” He argues that popular culture – and now digital culture – have “captured the attention, mood, time, activities and culture of young people… schools and universities keep their distance, purposeless entertainmenthas nurtured demand for creative self-expression and communication among the young. (130) He suggests that schools, not the market, should be at the forefront of deciding how best to direct this sort of creative outlet toward more “purposeful” ends. It would seem to be about time for a paradigm shift in terms of what is considered “literacy” in the teaching of Freshman English. It’s been at least twenty-something years since the field began including in the canon the writings of “scribbling women” in the 18thcentury, and works by people of color, and even pop cultural authors published in mass media magazines. Our 21stcentury students arrive in our classrooms with digital literacies that suggest they are capable of crafting much more thoughtful pieces than the print-based ones they usually turn in; works of wonder and brilliance, multi-dimensional and truly “diverse” in content. Works that just might not contain even one single cat. I customized this assignment to meet my goals as an older student returning to graduate study after working as a writing teacher, academic tutor, and freelance writer. To relate prior experience to new knowledge, I chose to observe a course comparable to one I used to teach at Austin Community College (ACC), when I was an adjunct instructor of “Writing Skills II,” then, the-gateway course to First Year Composition (FYC) at that particular institution. I was specifically interested in observing and analyzing pedagogical approaches to current issues in the field such as student retention in developmental writing courses and the integration of computers in the writing classroom. I observed ACC’s “Comp 4.O,” created to serve as a “bridge” to “mainstream” developmental writing students in one semester into FYC. The class met in a computer-networked, state-of-the-art classroom at ACC’s Round Rock campus. Comp 4.0 is a hybrid course that requires students simultaneously enroll for an exit-level “Writing Skills III” course and “English 1301.” Piloted less than a year earlier, Comp 4.0 was designed by Developmental Writing full-time faculty and adjunct instructors to address administration’s concern that too many developmental students took too long taking to progress to their first college level English course. At the time, ACC already offered at least three developmental writing courses – Fundamentals, Writing Skills I or Writing Skills II. Assessment tests helped advisors place students in the appropriate level course. However, depending on their needs, some students might need to progress through all three levels before enrolling in their first for-credit composition class – a required course for any associates degree, even one in welding. Students enrolled in those remedial courses, which don’t count towards a college degree, often get discouraged, and drop out. And, whereas the class size in most English 1301 courses at ACC is between 23 and 25 students, Comp 4.0 enrollment is capped at 16 students, which allows for intensive and personalized attention and instruction. Students attend class for more than two hours a day, twice a week, for 16 weeks. We didn’t want administration making these decisions. Development writing faculty had to have a say. … WSIII is a lab layered over English 1301 and a way to teach 1301 in a more nurturing and supportive way. Usually in 1301, it’s sink or swim – essays are marked “accepted” or “rejected” and that’s not going to help someone who’s borderline, who may get discouraged and drop. In Comp 4.0, we hold their hand for the first 8 weeks and then let ’em fly. It’s a difference in attitude, approach, and material. English Comp I instructors don’t want to spend class time teaching comma rules. In Comp 4.0 the remediation is fast-paced enough that students have to be placed correctly so they can keep up. We screen them personally. I first visited Hancock’s Comp 4.0 class during the spring semester in 2012. At the time I was working as an English/writing/academic tutor in the Learning Lab, conveniently just across the hall from where her class met. The classroom resembled the computer-networked, web-enhanced environments typical of 21st century workspaces, and its existence positively indicated that writing instruction is an important enough field at ACC to require its own space. The walls of the classroom were lined with individual computer workstations. Tables in the center of the room were light enough to move easily and large enough to accommodate two or three students — and their laptops – working collaboratively on group projects. When I arrived at 10 a.m., the students were free-writing drafts of their analysis of Elizabeth Wong’s “The Struggle to be an All-American Girl.” They’d been at it for almost an hour. Most of the students in the class looked to be in their early to mid-twenties, a culturally and ethnically diverse mix of young adults. On the white board at the front of the classroom, Hancock had written a list of that day’s activities, which included a discussion of their papers on “Only Daughter” by Sandra Cisneros, and a “class editing” session on an open-ended mix of topics, including punctuation patterns when using coordinating conjunctions. Hancock’s instruction on punctuation patterns when using coordinating conjunctions included “examples” from the students’ own course essays that she’d just graded. Using a webcam, Hancock displayed on a white board sentences with problematic grammatical constructions from “anonymous” donors. Because the sentences surrounding the sentences in question could also be viewed, the material was in context, and because the students had written the sentences, the instruction was personalized – and more than a few guffaws of recognition were heard as the students edited the sentences as a class. Judging from the excerpts, these were personal essays on the mother-child relationship. Hancock’s routine: show a paragraph, focus on one particular sentence, and ask the class if it needs to be corrected. “Is there a problem?” If no responses, give a hint. I observed that – with a few exceptions — the entire class seemed to be involved either by chiming in with a possible fix or scribbling on a piece of paper in front of them on their desk. The students seemed comfortable with one another, at ease with speaking up in class – perhaps because the students met together for longer periods of time, forming earlier than they might have otherwise in a more traditional and larger course, a supportive, collegial learning community. It is possible that what I observed during my visits to Hancock’s classroom could justifiably be most closely aligned with positivist assumptions about knowledge creation, and the efficacy of the much-derided “skill and drill” methodology. However, a more modernist approach emerges when I consider the thinking behind the creation of the course, the selection of course texts, and the approach to the final research paper assignment. The process through which this course came into existence reminds me of the activist streak in Writing Program Administration (WPA) literature. There’s also shades of Writing Across the Curriculum (WAC) pedagogy: the “writing to learn” and “writing to communicate” approach to the Comp 4.0 research paper on the student’s chosen career field, as well as class time devoted to free-writes that are shared, commented upon but not graded by the instructor and peers. The writing studio/learning community ethos that underlies the course design allows for collaborative learning activities suggestive of social-constructivist pedagogy as well as the impromptu teachable moments that place-based enthusiasts espouse. a lay-out, and overall appearance suggestive more of an e-book from the digital era than the traditional hefty hardcover text. The sections on the five essay assignments reflect the normative pattern of beginning with the expressive/narrative essay and moving later in the course toward the more objective, research paper; less typical of such texts is the fact that most of the sample essays are not by published authors but by former ACC writing students. I can’t help but think that many 4.0 students will benefit from reading an essay such as the one by “Maria Sanchez” written for the same teacher, (usually Dungan), and dated 2008, for the same assignment. These student essays are more than role models for developmental writers struggling to articulate a “voice” and “style” in “academic writing” that feels authentic and makes “the grade.” These essays talk about what a lot of developmental writers start writing about but usually can’t find examples of in typical texts – stories about coming-of-age, being older than average, immigrating to the U.S. from another country, balancing work and family and school life, and what’s it’s like to live in Austin and the particular culture at that particular ACC campus — ACC’s sprawling network of campuses that stretches across more than three Central Texas counties. Perhaps these “texts” could be considered a form of Writing About Writing (WAW) literature for the developmental writer; content pertaining to the struggle to not only compose more cogent essays. The course “reader” could also be considered a form of WAW writing for the developmental writer in a much larger, more holistic sense. “Mindset: The New Psychology of Success,” is a small, paperback book written in a conversational tone by a psychologist. Though at first it reads like just another pop-psychology, self-help book, author Carol S. Dweck includes recent breakthrough research on brain development, brain change, and lifelong learning. Citing examples from the world of sports and entertainment, the arts and sciences, as well as educational psychology literature, she debunks the myth that talent is a gift or failure is forever. The implication to the teaching of writing is obvious to any FYC teacher who has heard a student lament, as though it is their fate: “I’m just not any good at writing.” Dweck drills down on the point that success is mostly about sweat and showing up, effort and perseverance, not innate talent. Again, this could qualify as a form of WAW content for developmental writers, factual information on the psychology of success, which could be used along with the more now-standard articles on writing by writers. Changing the way students think certainly seems compatible with rhetoric and composition pedagogy. However, all in all, Comp 4.0 seems more aligned with educational psychological studies on the self-efficacy, the power of personal beliefs, and metacognition than pedagogy usually associated with rhetoric and composition. “Mindset” focuses more on the psychological make up of the individual than on sociological factors and the conventions of discourse communities. In my brief time back in academia, I have observed conflict between various camps within rhetoric and composition and developmental education when it comes to how to deal with students struggling with FYC. Comp 4.0’s interdisciplinary approach seems promising for students – and the field(s). Austin Community College — Comp 4.0: English 1301 paired with Writing Skills 3,Spring 2012, updated July 21, 2011. Dungan, Patricia. Personal interview. 7 Feb. 2012. Dweck, Carol S. Mindset: The New Psychology of Success. New York: Ballantine, 2006. Print. Hancock, Leslie. Personal interview. 7 Feb. 2012. © Copyright 2019 Debi Martin. All Rights Reserved.